Why choosing the right service provider for your email platform is vital? Tip: Why choosing the right service provider for your email platform is vital? - is also available as an ebook (pdf) for offline reading. 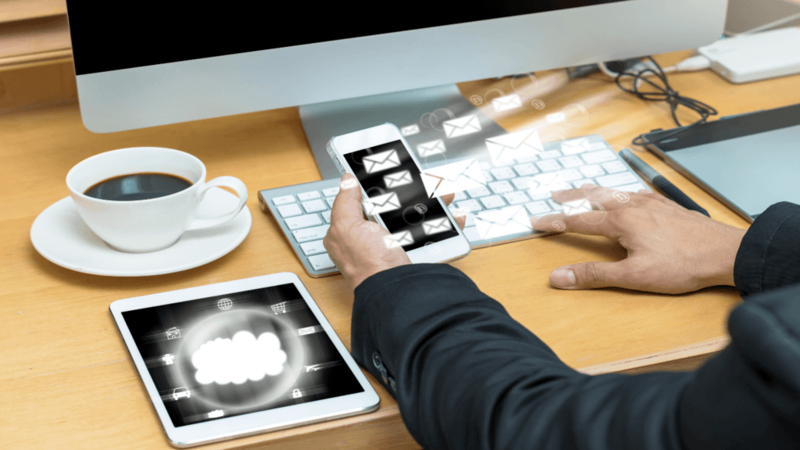 In this post ‘Why choosing the right email service platform is vital’, I will discuss the various kinds of email service platforms. This way, you will be informed enough to make the right choice, depending your own particular needs. In general, an email service platform is hosted by a company that provides hosting services for email campaigns and email broadcasting software. An email service platform refers to the application that will basically accept and store your email addresses, and allow you to follow through with offers and information. When you first come across email storage platforms, you can be forgiven for thinking that they are only good for managing your contacts’ email and data. However, appearances can be deceptive, and it is always important to do your homework first before making any commitment. 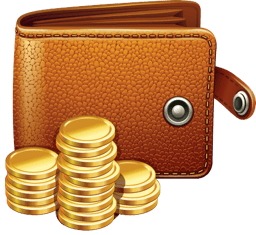 Your budget is an important consideration, especially if you are working on limited resources. There are very basic free tools out there, and there are also solutions that that have tons of advanced functionalities, but cost tens of thousands of dollars. Truth is, email marketing doesn’t require a big budget to be effective….but still, it’s important to figure out how it fits into your overall marketing strategy. As a business owner, you want to come up with awesome campaigns and analytics; however, you need to have the appropriate budget in place on one hand, and on the other hand, you you don’t end up with features you don’t need and/or take a lot of time to learn. In short, you need to make sure that you don’t over-invest. 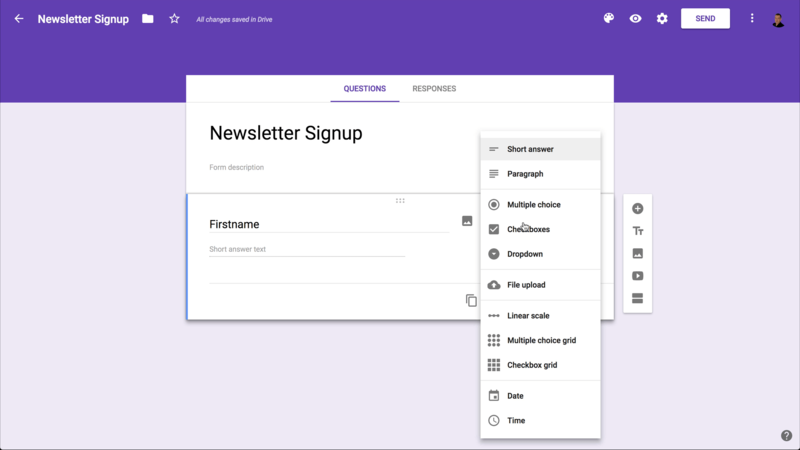 So, you now have some templates with Google Forms and autoresponder functionalities. However, these are mostly limited to sending an email to the contact to confirm the data submitted, as well as some basic responder text. 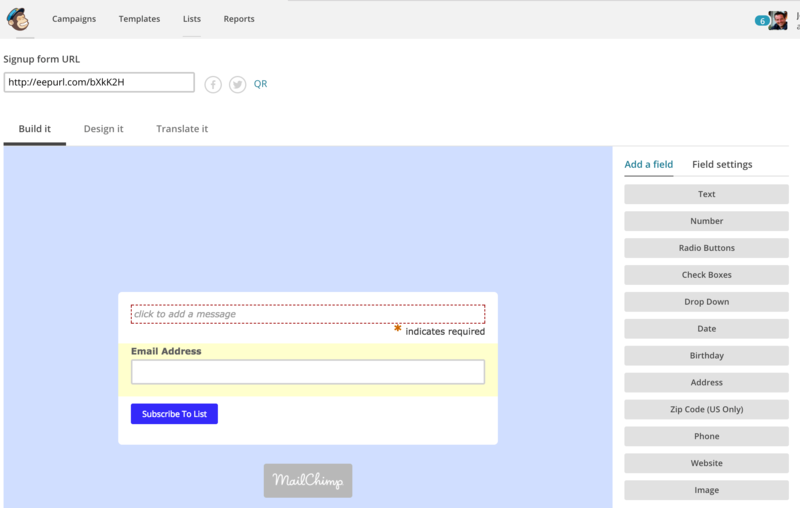 There is not much you can do to customize the form design and/or responder text. Ok, it's not very functional and the features are rather limited. For one, if you want to send a broadcast message to the contacts in your spreadsheet from your own email address, you are confined to only two broadcasts to 500 addresses each per day. Let’s now look at your options if you are working on a low budget. There are some inexpensive form-building or form-design solutions available. One that I do recommend - and do like - is JotForm. 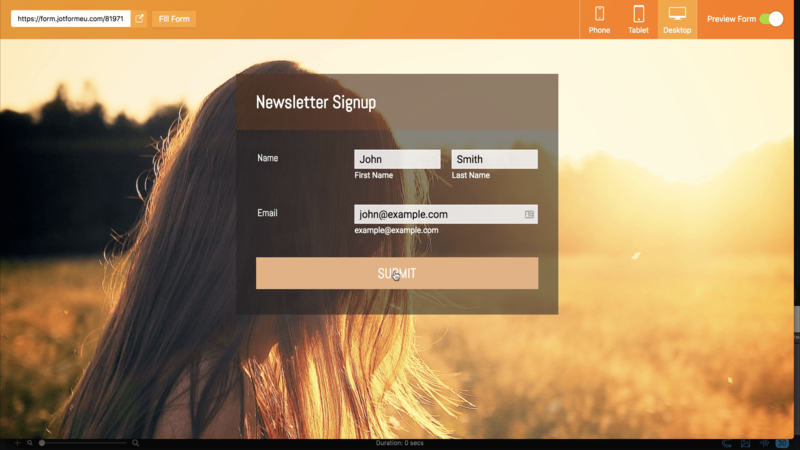 JotForm is quite user friendly, and offers several different forms. 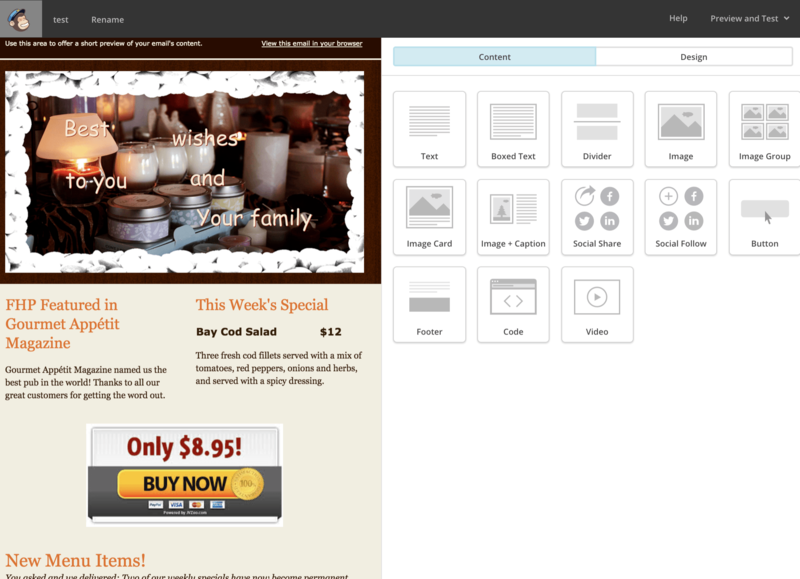 You can also choose themes from the form designer that offers beautiful designs to pick from. You can also customize your forms, thank you page, and responder, among others. No coding skills are required. Basically, you create online forms and publish them. 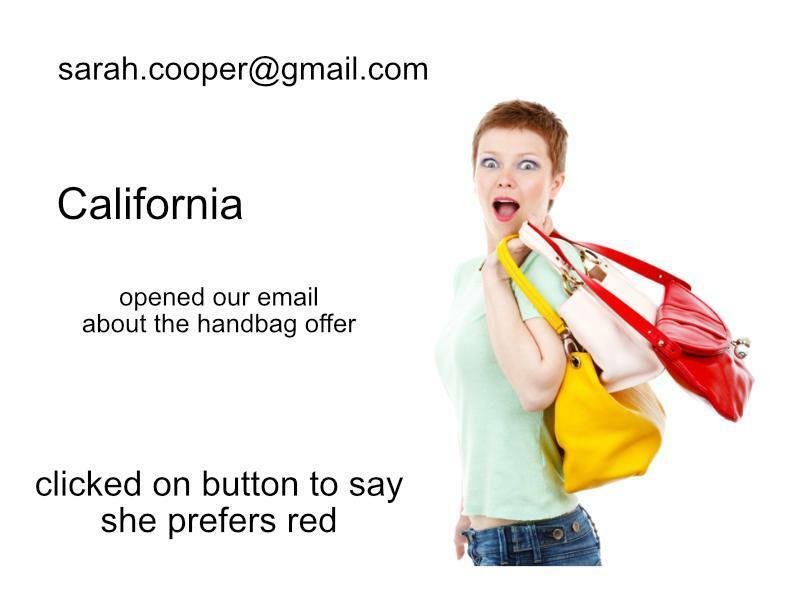 You will get an email for each response and this allows you to collect data. Basic form elements and widgets can dress up your form with additional functionality like date picker, video, audio, and many more. Everything is drag and drop, so it is very easy to implement. Once you have your form designed, you can integrate form submissions with your budget solutions and organise automated storage such as the spreadsheet option we have already discussed, or even Dropbox, or Google Contacts. 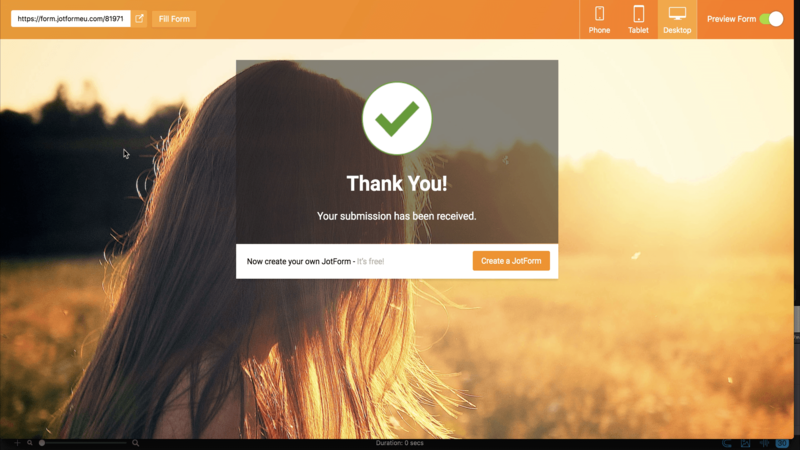 Creating a form using JotForm is as simple as pushing a button. You choose a layout. 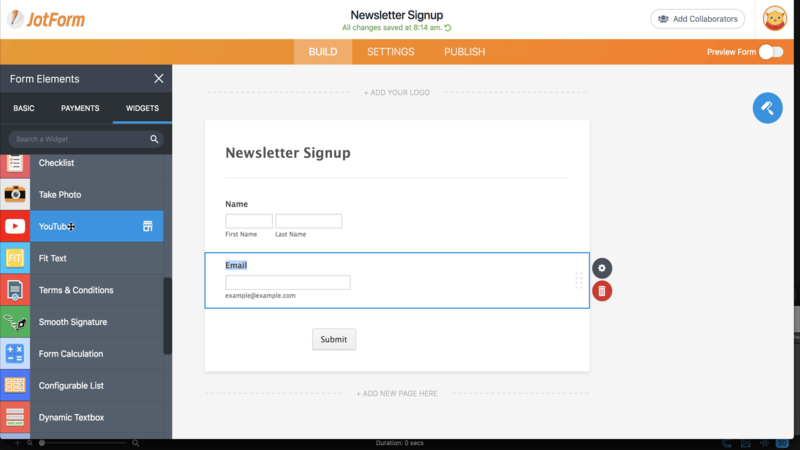 You pick a blank form for a newsletter sign-up. 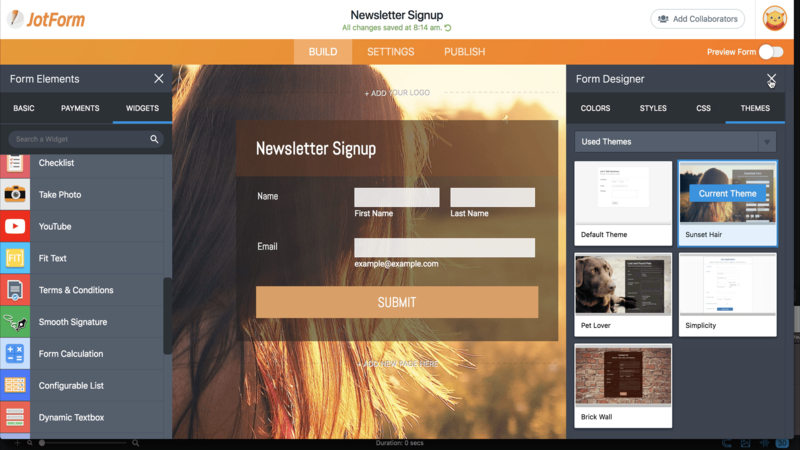 Once you have created the form, you will have a blank canvas that you can fill with form elements. On the left side, you have a whole bunch of form elements, and that is something you will really appreciate. With a simple drag-and-drop, you can quickly provide your form with all the elements you need. You would like the user to provide his name and email address. At the same time, you have a whole lot of other form elements to pick from. There are even widgets that allow you, for example, to select an audio or a video element. Once you have completed your form elements, you can start thinking of the form’s overall design. So, you are trying to pick a colour scheme, a page colour, an image, a form colour, and if you prefer, a theme to be used with your form. There are some settings you can select for the purpose. In no time, you’ll have your form ready to be used. By default, you will have a notification email sent after each submission, but you can also integrate with third party services like Google Sheets. 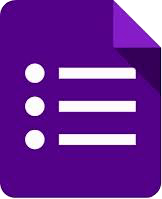 If you want to update a Google Sheet with each form submission, you simply have to grant access to your Google account. It will then create a Google sheet in a folder. Once integration is done, you're all set to publish the form. If you don’t want to publish it on your website or none is available, you can share the form directly via email or social media. If you prefer, you can also copy paste the snippet and paste it as a form onto a website. Let's preview and let's fill out the form. Sufficient budget - use an ESP! If your budget allows it, a better solution would be to integrate your forms with an email service provider or ESP. An ESP is basically a company that offers email services. This will allow your contact numbers to grow without the system becoming difficult to manage. But how will you determine your budget? Keep in mind that the number of email addresses you store will have a bearing on your choice of Service platform, as well as the cost of your email marketing campaign. You will find a budget answer by taking a look at the size of the databases you have, your spreadsheets, and how many email addresses are stored. The number of email addresses in your database will tell you the budget you need. You need to ask yourself how many emails you will send and how frequent. If you already have an existing supplier database, check out your current send volumes. It is also a good idea to have a look at your business as a whole – your customer service, marketing, and operations might all need to send emails. Pool your send volumes together – the more you send through ‘one’ provider, the cheaper your rate per email address will be. With an email service provider, you can easily sort your contacts, and generate and send emails. Ideally, you want a platform that will allow you to automate sending emails, as well as quickly creating one-off campaigns. Combined with an easy way of creating, editing and sending a variety of emails, when the heat is definitely on! A reputable email service provider will often offer an autoresponder service. This allows you to automatically follow-through with an email message to your new subscribers. 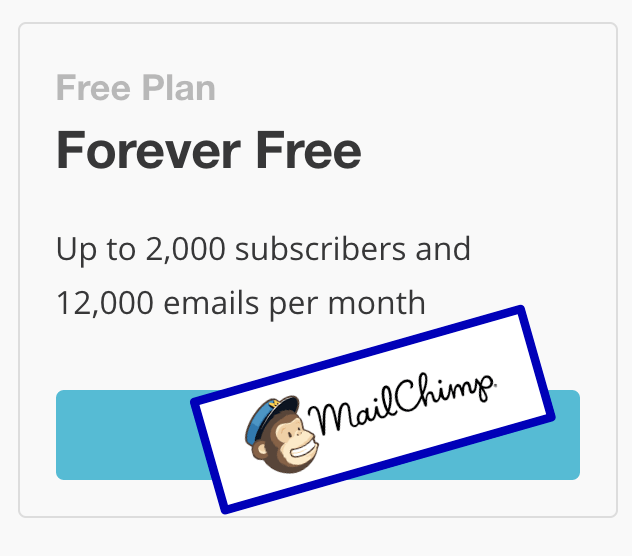 A popular budget email service provider is MailChimp, which offers a free trial period for their services for up to 2000 subscribers. There are common ways to obtain a prospect’s email address or other contact details. Some businesses will simply ask for this information, while others will promise some kind of value in return. The pages that offer something in return are often called ‘squeeze’ pages. 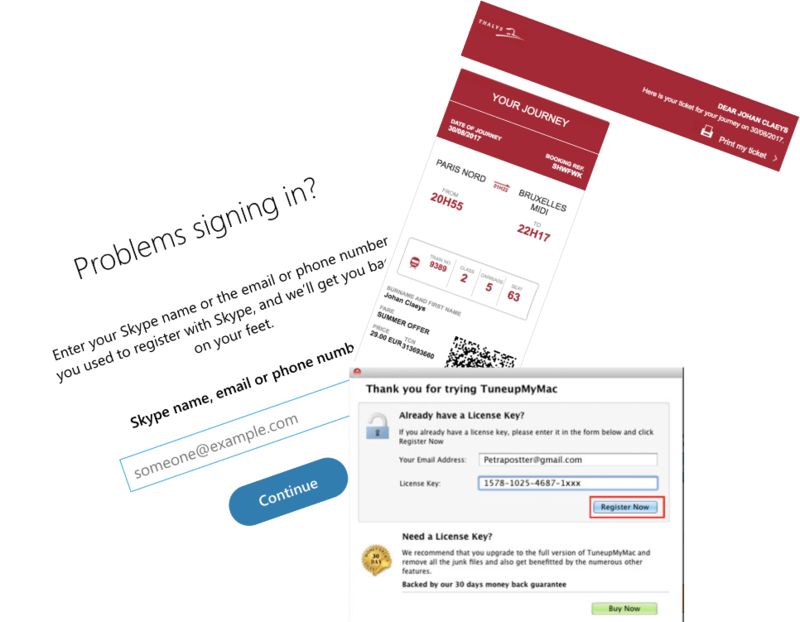 In reality, these are landing pages. 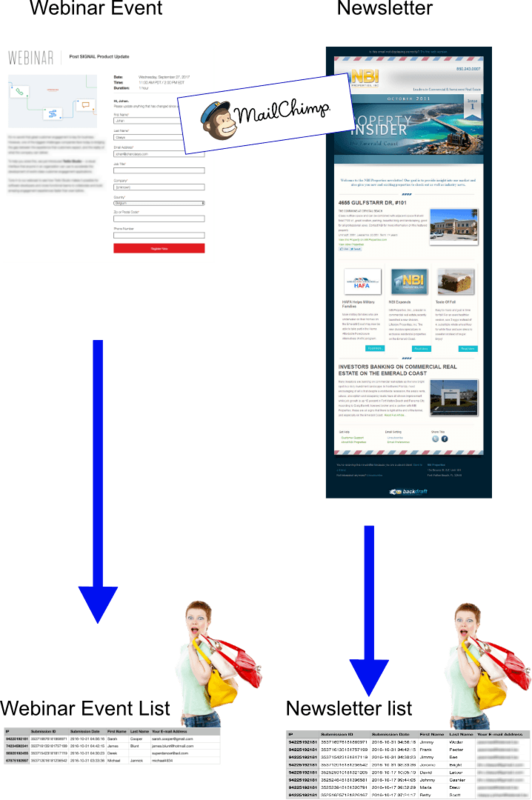 So, when you hear squeeze, think of landing pages. 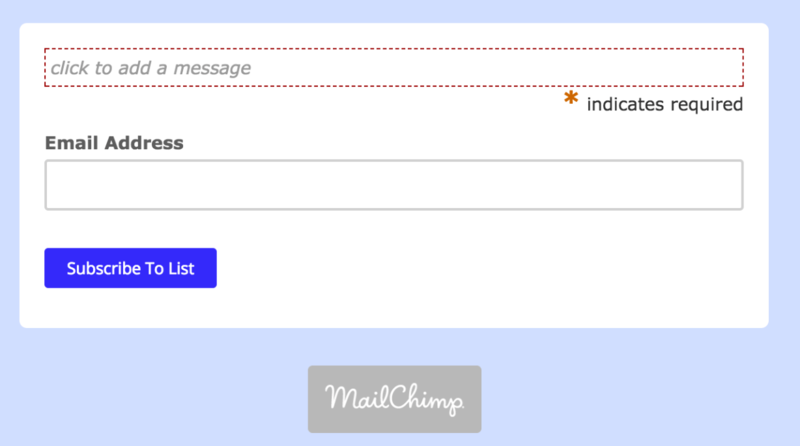 MailChimp has its own form builder. This means you do not need a separate form-building application, and email addresses can be confirmed with double-opt-in. It also has nice drag-and-drop design templates optimised for mobile devices. With the social media integration feature, you can share your mail and/or newsletter on social media to help you design your newsletters. However, even though it is considered list-centric, which means your contacts are confined to lists and there can only be one sign-up form per list, there are inherent limitations to MailChimp. The same email address in a newsletter list and in a webinar list actually counts as two contacts, and this could cost you more. This is because the number of email addresses you store with the service will determine the cost of your email marketing campaign. You also need to know that there is a limitation to the number of emails you can send with the free account. Likewise, the autoresponder feature is disabled, so that you cannot automate, and follow-through email sequences. 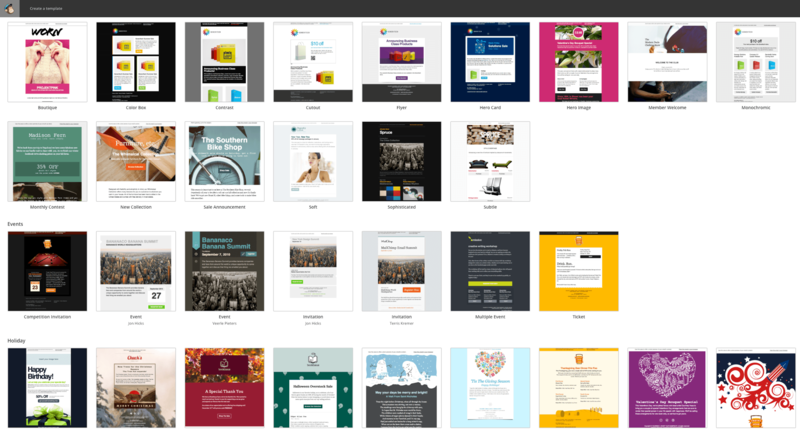 The email builder is, however, awesome to use overall. Many people start with MailChimp because of its affordability, and then progress to a different solution that offers more capability. Most users eventually progress to a contact-centric solution. Contact-centric email service providers rely on tags, rather than lists. Instead of a person ending up on two or more lists, they can remain on one list, and are simply given two or more tags. Is building Profiles for your Contacts important? Contact-centric email service providers allow you to gradually build up a Profile for each Contact. You simply add tags for those topics that clearly interest them as you follow what they are clicking, downloading, and subscribing to. 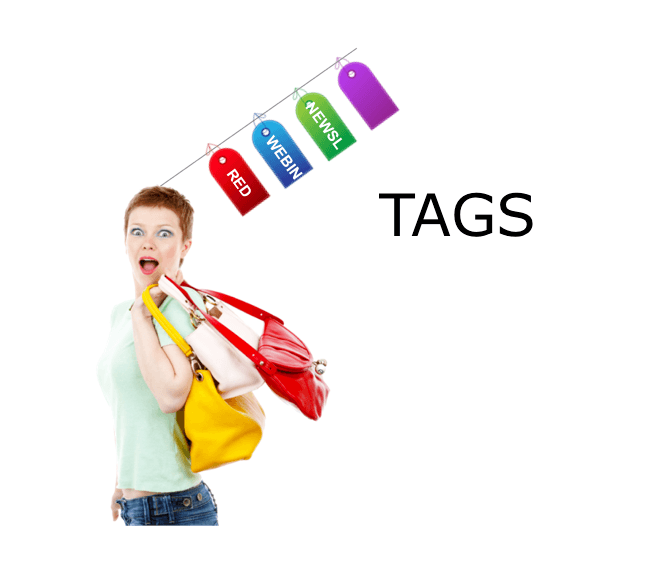 Of course, you need to develop a sensible tag system, so things do not become cluttered. Basically, tags help you display essential contact data quickly and easily. I have a separate ebook about that, but I will cover this topic later. 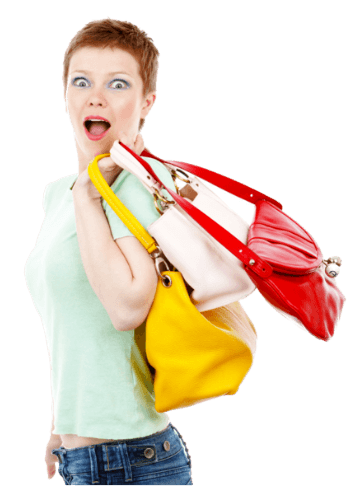 Is deliverability important to you? Another thing that you need to think about when choosing an email service provider is deliverability. How critical is it to your business that your emails actually get delivered? I am specifically referring to transactional emails - like password resets, license keys, account confirmations and purchase confirmations - that must arrive in your customers’ inboxes immediately and not land in their spam folder. There are special services for such ‘transactional’ emails to which you can subscribe. These include PostMark, Mandrill and SendGrid - that verify you are a genuine business, and you do your best to get the email to the correct inbox in a timely manner. Note, however, that Mandrill has been bought by MailChimp, and only works in conjunction with MailChimp. For leads that you qualify as “not ready to buy just like that,” you need to earn their trust. Just like in real life, building a meaningful relationship takes time. Thus, trying to "rush it" will likely only drive potential customers away. The best way to build trust is by bringing personality and humanity into the interaction. You can do this by nurturing your relationship through creating email sequences. Sequences are a series of personalised emails that deliver things that benefit your contacts' business and by following up with valuable content that are delivered over a period of time. You bring personality and humanity to the interaction by sending emails that are fired on autopilot. 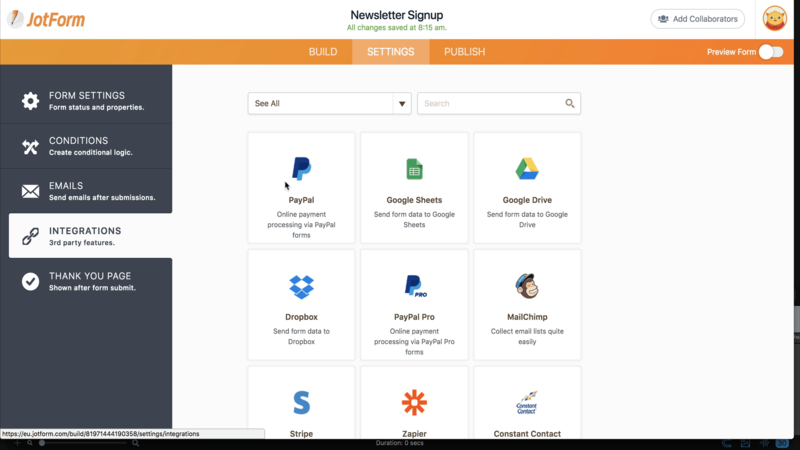 An email marketing platform I recommend is ConvertKit. 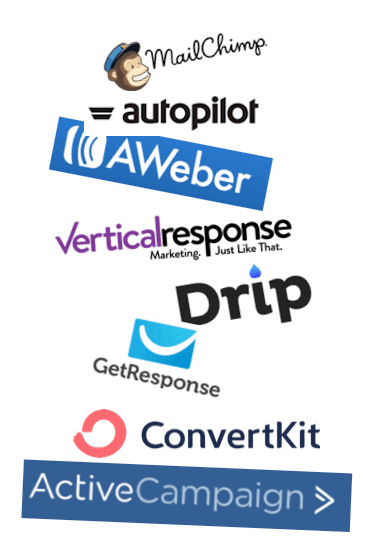 ConvertKit is a great Email Service Platform because of its contact-centric features. You can easily email sequences with messages that feel personal and increase conversions. You can combine your sequences with simple ‘what if’ automation rules that help to, based on their interactions, better classify your contacts. Email Week 1 - "Hello"
Email Week 2 - "Did you know that,..."
Email Week 3 - "How are you getting on with....?" Email Week 4 - "We thought you may like this...?" Now, we are getting into something that is particularly close to my heart…and that is marketing automation. Email Marketing is mainly focused on working from inside out and everything is based on contact's email. ‘Marketing automation,’ on the other hand, refers to internal and external processes involving your business contacts’. This can go anywhere from a simple responder email to automations that can be very complex, branching to automate different options, depending on actions taken by the contact. 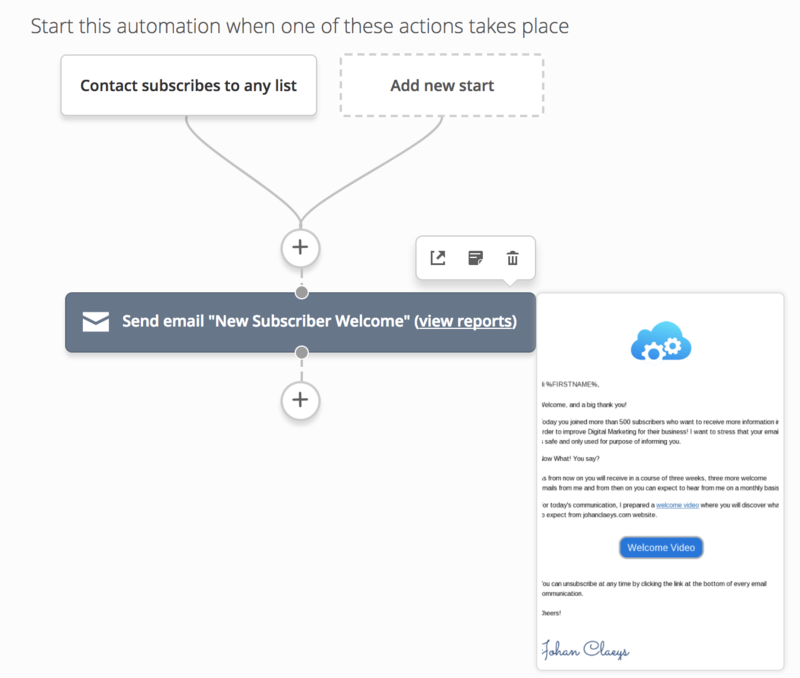 So, automation can be very simple, such as sending a welcome message when a new contact subscribes. But, it can go as far as automating a sequence of events that you have created to help execute your business processes. ActiveCampaign is a contact-centric email service provider, and is considered a leader in sophisticated automation. Just like ConvertKit and MailChimp, it does email communication with contacts. However, ActiveCampaign, next to email automation, also does marketing automation. By making use of more sophisticated automation, you are able to integrate your business processes and even do small business CRM - all in one solution. Don’t let marketing automation scare you. Contrary to what you might be thinking, marketing automation has been gaining a lot of momentum lately among small- and mid-sized businesses. What is my right email service platform? You have your choice of free, medium, and enterprise level email service providers. Picking the right platform for your specific needs can keep your running expenses low and the returns on your investments high, while still providing all the functionalities you require. How easy is it to make a video without video skills?